ACCESS to School Readiness is a federal program funded by a United Way Social Innovation Fund grant, which aims to improve early education in metro Detroit. This program serves the at-risk, new immigrant, socially isolated and culturally conservative community in southwest Detroit. Families with children up to 5 years old are identified by ACCESS and local schools to receive training in parenting, early childhood literacy and education, parent/child interactive literacy and adult education. These services will enable children to enter kindergarten with the cognitive, social, emotional and language skills needed to succeed. Adult Literacy English classes for men and women run from September through May. Classes are accredited by Proliteracy, an international organization that promotes adult literacy. ACCESS offers 30 two-hour classes for parents, friends, families, childcare center staff, as well as family and group home providers, with a focus on preschool caregiver skills. Topics include: Gifts of Infancy – Development from Birth to Three; Terrific Twos: Helping Toddlers Navigate Conflicts; and Kitchen Art Fun. Participants receive free child care and access to a lending library of books. Citizenship classes are designed to prepare immigrants to take the written and oral portions of the USCIS Citizenship Test. Topics include U.S. government and history, English as a Second Language, and test-taking skills. ACCESS partners with Gleaners Food Bank to offer a six-session, hands-on cooking and nutrition class led by a chef and dietician. Participants receive free groceries, nutrition education, cooking lessons, healthy eating tips, and tips for eating healthy on a budget. The Domestic Violence Prevention Program aims to increase awareness and change social attitudes about domestic violence, to empower individuals at risk for domestic violence, and to decrease the incidence of domestic violence in the Arab American community. ACCESS offers intensive, semester-long English as a Second Language (ESL) classes from September – May for adult women. Four levels of ESL are provided where learners focus on listening, speaking, reading, and writing skills. Educational field trips and presentations are also provided to enhance learners’ exposure to English and as a way to take their newly acquired skills from the classroom, to real world, authentic, English speaking situations. ESL classes aim to develop and improve learners’ communication skills and empower them to be active members of the community. Entrepreneurship support services provide technical assistance to increase the success rate of individuals starting or growing a business. Join in to Revitalize Arab American Neighborhoods (JIRAN) mobilizes Arab American residents to engage in their community and plan projects that create positive change in their neighborhoods. After a four-year grant from Skillman Foundation in 2008, in which JIRAN organizers identified social, health, and safety issues in the Chadsey/Condon, Cody/Rough, and southwest Detroit neighborhoods, Skillman awarded ACCESS a JIRAN grant for another year. In addition to community, the program places strong emphasis on initiatives that build advocacy/civic engagement skills, and prepare youth for college and for the modern workforce. The Learning Lab offers assessments and self-paced tutorials and computer application training, including: basic skills, GED study sessions, English as a Second Language, and Microsoft Office courses. The PATH program is a state welfare-to-work initiative that receives referrals from the Michigan Department of Human Services (DHS) to provide assistance and resources to move recipients from public assistance toward self-sufficiency. 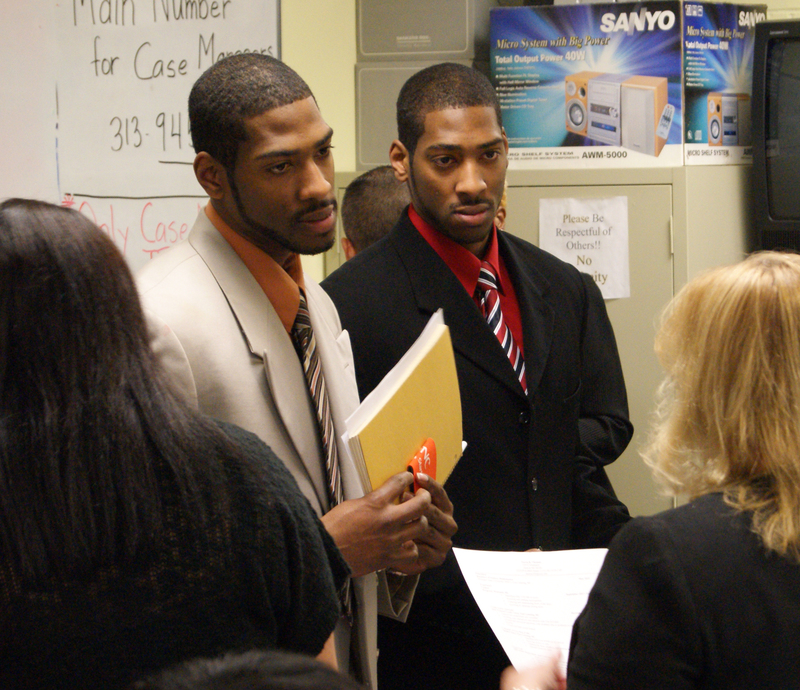 Participants receive job-readiness training, educational/vocational training, and job referrals and placements. The Public Health Division offers a range of educational programs that focus on disease prevention and healthy living. The self-directed resource room offers access to the Internet to assist jobseekers and employers with their employment/recruitment needs. Workshops to empower jobseekers include: cover letter/resume writing, interview skills, customer service, financial literacy and other subjects. The Substance Abuse Prevention program highlights the danger of a form of water-pipe tobacco smoking called Argileh or hookah, which is prevalent in the Arab American community and has grown in popularity in recent years among the larger population in the United States. The Community Substance Abuse Coalition also addresses tobacco, alcohol, prescription drugs and marijuana use among youth within the Arab American communities of Dearborn and Dearborn Heights. The Women, Infants and Children (WIC) nutrition program gives women and their families a healthy start in life. In partnership with the U.S. Department of Agriculture and the Michigan Department of Community Health, the program offers supplemental food, nutrition counseling and program referrals.